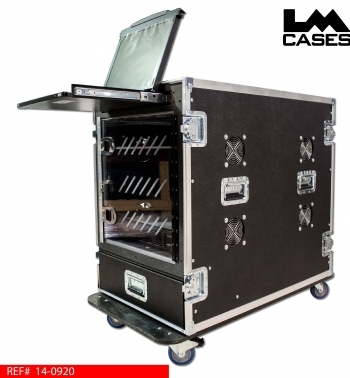 This case was designed for Sharp Electronics USA to be used as a portable data transfer rack. The rack section has 12RU of rackable height with an overall depth of 40" and features 8 intake and exhaust fans for cooling. 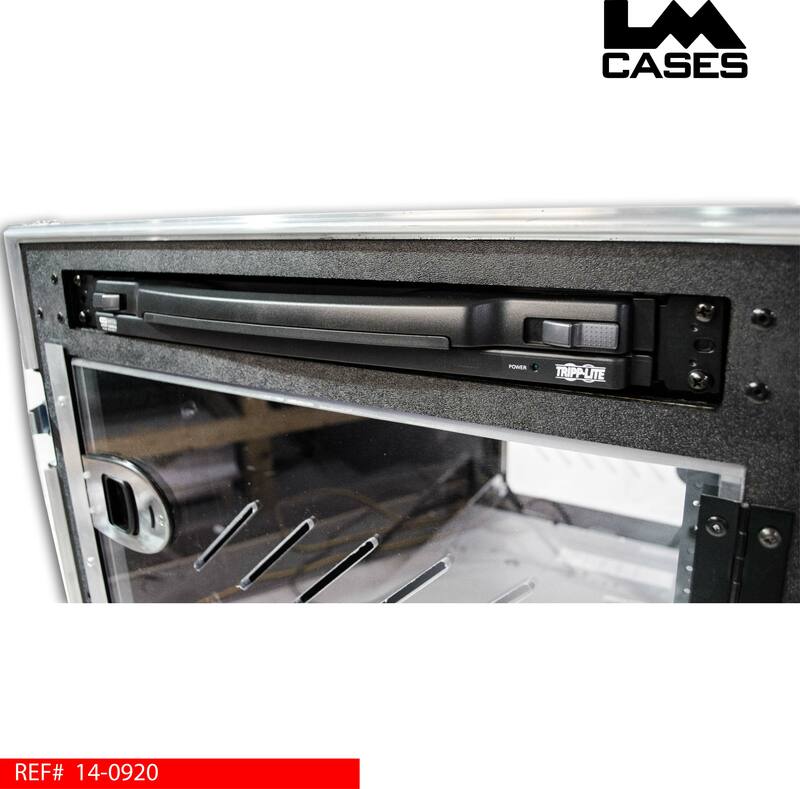 The rack features lockable 3/8" thick clear Lexan doors on the front and back to prevent tampering with the servers. 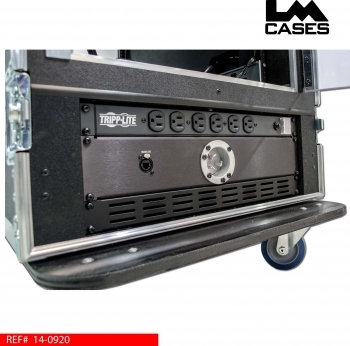 Mounted above the server rack section is a Tripplite KVM switch that provides a monitor and keyboard/mouse to the servers. The front of the case also features a storage drawer that is built out of 1/2" Baltic Birch and mounted on HD Accuride glides. 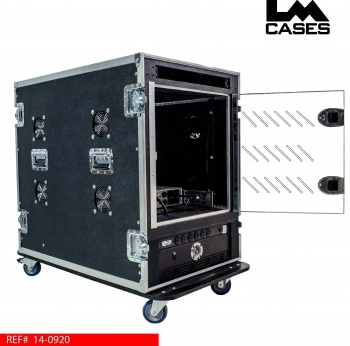 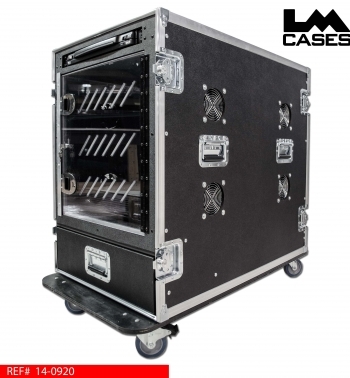 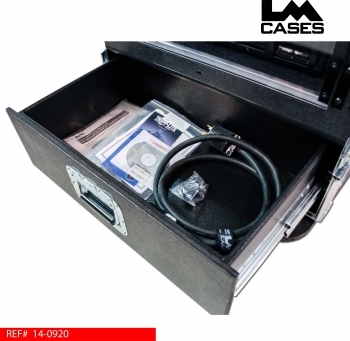 The rear of the case features a 4RU rack section that holds a 6 outlet power strip, L5-30 amp power input panel w/WAN IN jack and a 1RU vent. 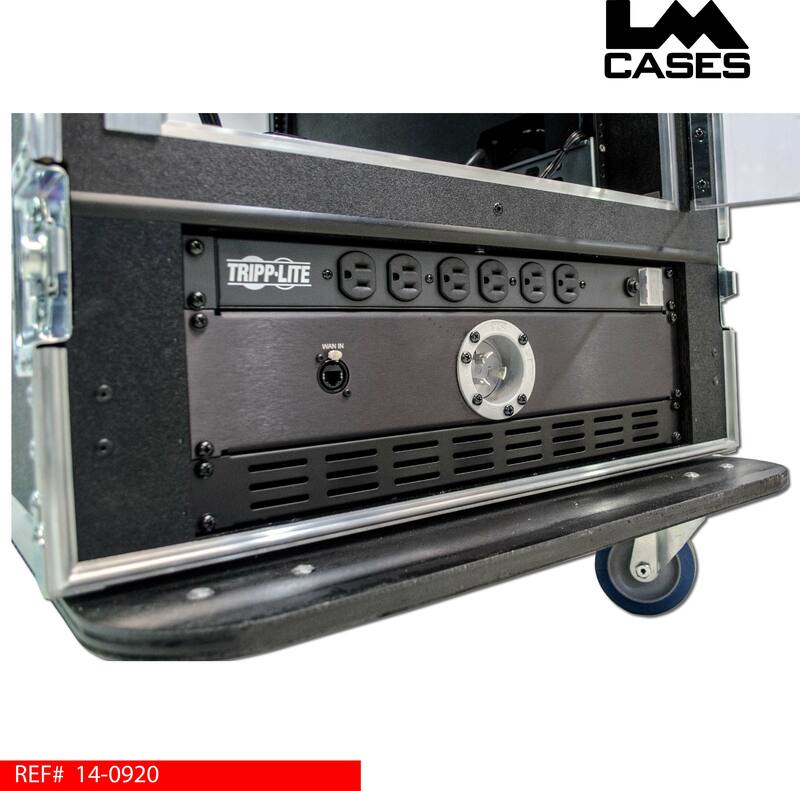 The APC UPS, Tripp-Lite KVW, power strip, input panel and power cable we supplied and installed by the LM Cases Custom Integration department. 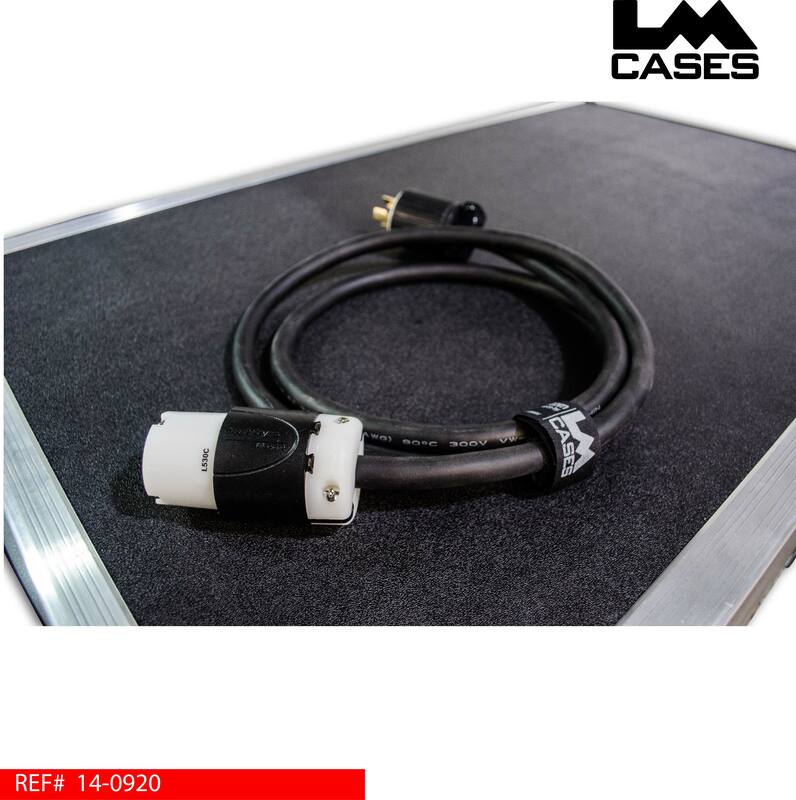 Special thanks to Sharp Electronics!